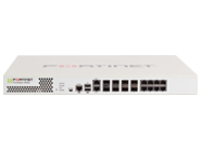 The FortiGate 400D appliance delivers superior performance through a combination of purpose-built FortiASIC processors, high gigabit port density and consolidated security features from the FortiOS operating system. It delivers 5 times better next generation firewall performance compared to alternate products and provides the best price/performance in the industry. This breakthrough threat prevention performance allows organizations to run NSS Labs Recommended intrusion prevention and application control and VB100 certified anti-malware capabilities for deeper inspection. Rich console views and reports together with a flexible policy engine provide the visibility and control to empower employees yet secure your enterprise. Finally, these features of the FortiGate FortiOS Network Security Platform are routinely validated by independent real-world tests and consistently getting superior ratings in security effectiveness.